Today is International Day of the Girl — an important reminder that millions of girls around the world don’t have access to education and technology, contributing to a gender gap in developing employable skills. One critical skill that we need to teach and reinforce in girls is self-confidence. By the age of six, the UN notes, girls already consider boys more suited to “really, really smart” activities than their own gender. A recent New York Times article states that girls’ confidence levels fall by 30 per cent between the ages of 8 and 14. Let’s empower our girls to have confidence in their capabilities and reach their potential. We need to empower our girls to have confidence in their capabilities and reach their potential. As a mom to two girls, I am very intentional in instilling self-confidence in my six-year-old (the other is still an infant). Here are some techniques that have worked for us. “Affirmations are more than a warm and fuzzy technique used by coaches — they are a proven method of shaping and controlling our thoughts,” says Dr. Ivan Joseph, author of You Got This. As Dr. Joseph explains, being intentional in our thoughts influences our beliefs, which influence our actions. Those affirmations have come in handy in situations when my daughter had to overcome a fear or handle a new challenge. Whether it’s confronting a bully in the playground or performing the piano to her peers, I encourage my daughter to venture outside her comfort zone at every opportunity. 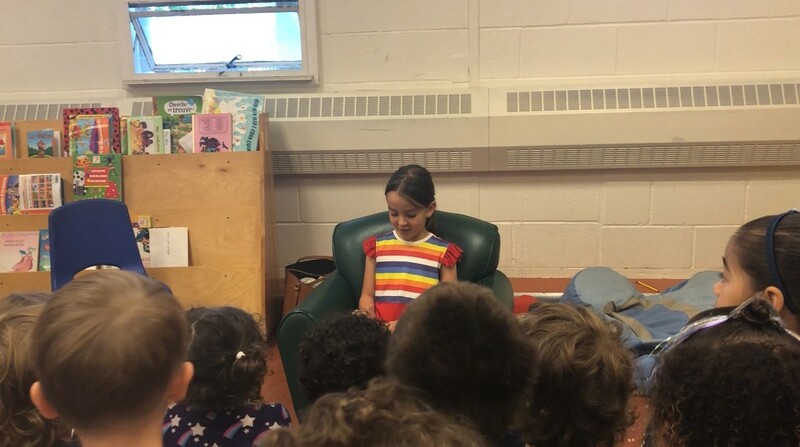 For example, upon my suggestion, she read her favourite book to her classmates last year. During music camp, kids had the opportunity to showcase their talent to the group. It was completely optional but a great opportunity for her to put herself out there and perform a piece on the piano she had been practicing. In both cases, when she voiced doubts, I directed her focus to practice and the idea that if she works hard enough, she will do well. More importantly, she had fun doing both activities. As a parent, I need to walk the talk as I realize my daughter is watching me all the time! Two years ago, I took her along to one of my talks where I was speaking to a group of professionals on social media. I wanted her to see me in a situation where I was confident, hoping that would inspire her to trust her own capabilities. The above is by no means an exhaustive list. Those are some of the techniques we had success with. Got any self-confidence tips? Please share them in the comments below! Lina Duque, MBA, is a social media strategist and university lecturer on digital presence and personal branding. Social Media Strategist & Speaker. As seen in Harvard Business Review, Forbes, Globe & Mail. MBA, Ivey Business School.